Extend the life of rods and tuning by reducing wear. Reduces energy requirements by reducing drag. Reduces lost production By extending time between work-over’s. 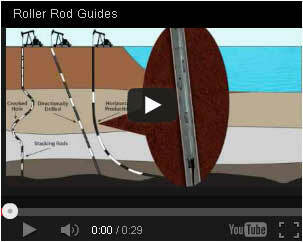 Reduces drag in directional wells. Reduces the need for sinker bars by adding weight and reducing drag. The wheel is trapped within the body of the coupling and can not fall down hole.